The 29-year-old has been linked with a move away from the Allianz Arena, but reported for training on Thursday with the Bundesliga holders. 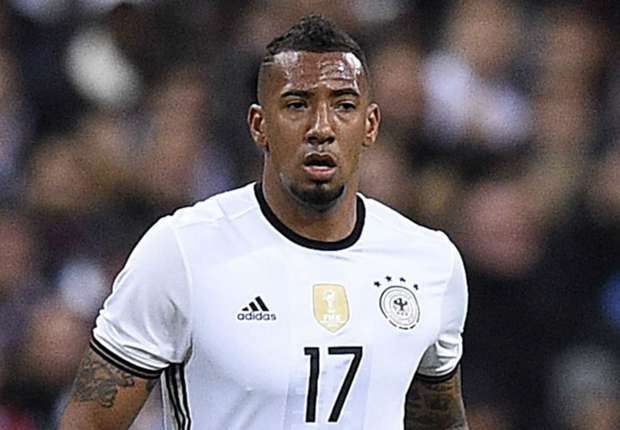 Bayern Munich defender Jerome Boateng trained with the club on Thursday as speculation continues to swirl around the future of the Germany international. But with the Premier League’s transfer deadline at 17:00 BST today, Red Devils manager Jose Mourinho has told reporters that he does not expect any further incomings at Old Trafford before the close of business. As for PSG, the Ligue 1 champions have been touted as a possible destination, with new head coach Thomas Tuchel keen to bolster his options at centre-back ahead of the new campaign. Last month, Bayern chief executive Karl-Heinz Rummenigge said the 29-year-old’s representatives had been in touch with the French outfit. Boateng originally joined Bayern from United’s arch-rivals Manchester City in 2011, and has since amassed a significant trophy cabinet, with six Bundesliga titles and three DFB-Pokals to his name alongside the World Cup. He endured a torrid campaign in Russia earlier this year however, where he was sent off in Germany’s only win of the tournament, 2-1 against Sweden, as the defending champions were knocked out in the group stages. At club level, Boateng has struggled for more regular game time across the past three seasons, due to both discipline issues and injury, and Bayern are thought to be happy to let him leave for the right deal and price. If he was to depart the club, he would become their third outgoing defender of the window, following Felix Gotze and Thomas Isherwood, who have signed for Augsburg and Bradford City respectively. United have been linked to the signature of a number of big-name defenders, including Premier League stars Harry Maguire and Toby Alderweireld – but may be stymied in their desire to bring Boateng or any other name to the club given the new English transfer deadline. Bayern however would be able to sell the centre-back to a continental club, such as PSG, until the end of the month.